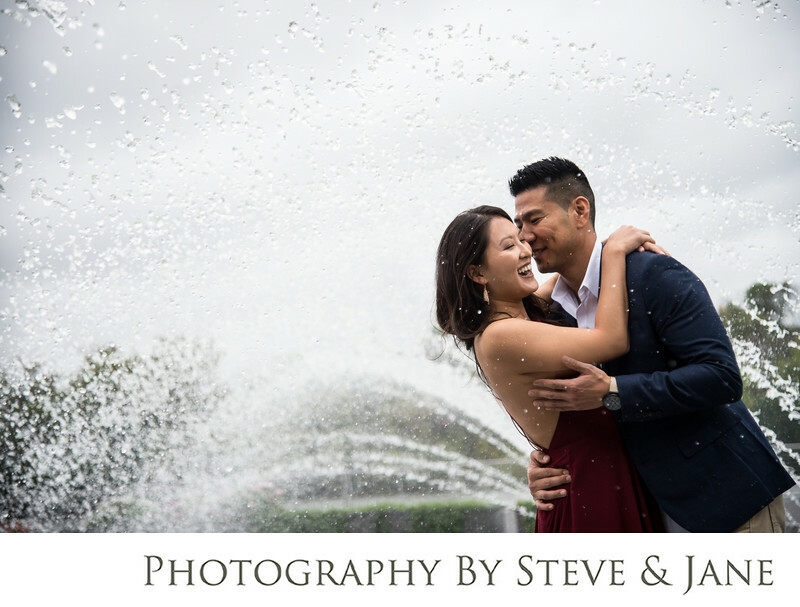 When choosing engagement session locations in the DC metro area, most couples take into consideration the background, the feel, and if the spot has any significant meaning to them. They often overlook how busy the spot might be. DC is a beautiful city, but also a popular tourist destination. Our nation's capital offers many scenic sites, but they are often overrun by crowds. When you find that perfect backdrop for your photos, be sure to schedule your session during a time with less foot traffic and sightseers. Weekends are convenient for most couples, but it pays off to take a day off, and make a day of it in the city. Weekday sessions are perfect for avoiding large crowds. Sunrise sessions are also popular as it is usually just you, your photographer, and a few early morning joggers. This session was scheduled on an afternoon in October. Choosing a wednesday meant there weren't throngs of tourists in the background or locals on their weekend runs. The waterfront was practically abandoned except for a few locals and a daycare on an afternoon outing. We were able to take advantage of many locations without having to fight the crowds. At the end of the session, they jumped in the fountain for a few fun photos before a dinner in Georgetown. To schedule your engagement session, email us at info@steveandjane. Location: 3303 Water St NW, Washington, DC 20007.